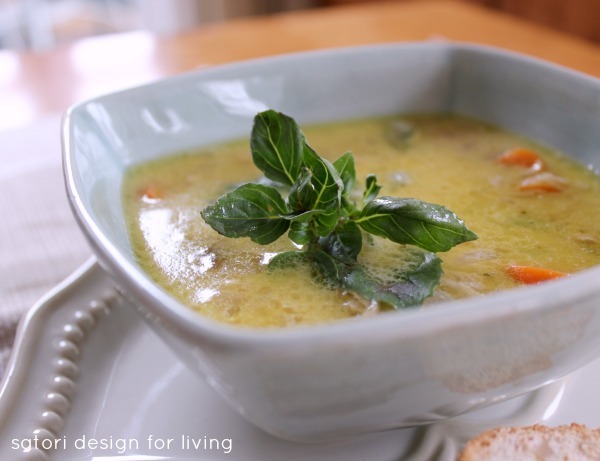 A hearty homemade coconut curry chicken soup that’s perfect for a chilly fall day! Isn’t there something comforting about soup simmering on the stove on a chilly fall day? Yesterday, I made one of our family favourites, and the timing couldn’t have been more perfect with our first flakes of snow to hit the ground this season. As I look outside my office window right now, heavy winds are blowing snow straight sideways as it comes down. I don’t think I’m ever prepared for the return of cold weather, but fall comfort food somehow makes it a little more tolerable. This coconut curry chicken soup is one of our favourites. Not too spicy, and perfect with a piece of crusty bread on the side. It’s a meal your entire family will enjoy. Heat coconut oil over medium heat in a large pot until it is melted. Add onion and cook until tender. Add curry paste and garlic, stir and cook for one minute. Add chicken stock, carrots, fish sauce, brown sugar and bouillon cube. Cook covered until carrots are tender. Add chicken, coconut milk and cooked rice. Simmer for at least 10 minutes on low heat, stirring occasionally. Tear pieces of Thai basil and add to the top of each soup bowl serving. Note: This recipe works well using leftover roasted chicken and homemade stock. Adjust the amount of flavouring you need based on how you prepared your chicken stock. This recipe works well using leftover roasted chicken and homemade stock. Adjust the amount of flavouring you need based on how you prepared your chicken stock. 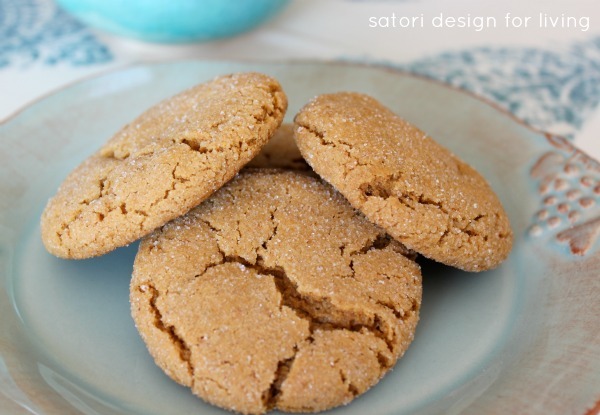 If you’re looking for a treat to follow, check out my soft and chewy ginger cookie recipe. Another family fave! Hope you enjoy our fall comfort food as much as we do! « What’s Up in the Blogosphere? I love anything curry, so I’ll definitely be giving this a try. Where did you find your thai basil? I grew the thai basil I used in my garden this year. You could probably use any variety of basil in this soup and it would still be good. This looks very yummy, Shauna! I’m starting to head back into soups, and I’d love to give this one a try. Thank you so much for sharing!!! I have everything for these recipe including a bunch of dried Thai basil from my garden. It’s cold and I’m craving soup. I’m making this tomorrow. Thanks for sharing your recipe on my Link Party! I can’t wait to try it!